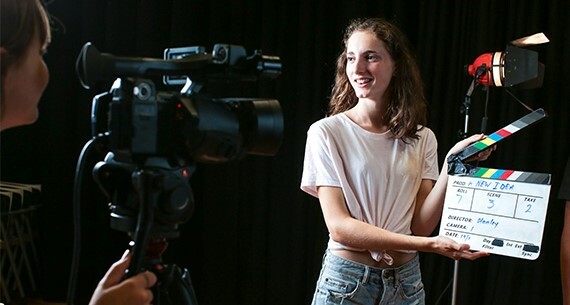 The internationally acclaimed National Institute of Dramatic Art (NIDA) and Notre Dame University, have joined forces for the first time to stage classes for children and young people on the University’s Chippendale Campus in Sydney. In a unique collaboration, the historic St Benedict’s will be the location for courses to be held throughout the 2019 school year. Australia’s leading centre for education and training in the performing arts, NIDA’s famous alumni include Cate Blanchett, Sam Worthington and Lord of the Rings star, Miranda Otto. The practical skills based course, ‘Drama for Grades 3-6*, offers practical skills based learning in the performing arts led by industry experts with a focus on persona and creative development. Practical, skills based learning also underpins the Drama for Grades 7-10* courses for young people in grades 7-10 and are designed to support and inspire young people at any stage of their creative development. For details of the all the courses on offer at the Notre Dame Chippendale Campus throughout 2019 - click here. Media Contact - Beth Kennedy : +61 8 9433 0764 | +61 447 038 958 beth.kennedy@nd.edu.au.